Treating autism spectral disorders (ASD), especially in children, has presented a notoriously difficult problem for the medical profession. Up to now, evidence that medical cannabis could have the potential to be used in the treatment of ASD has largely been anecdotal. 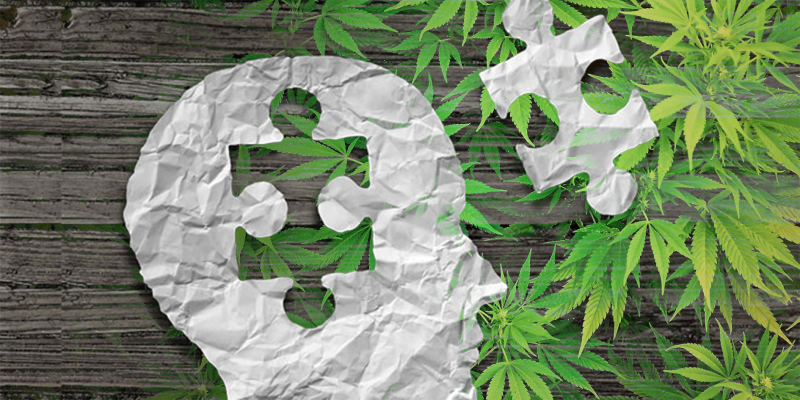 Researchers for Tikun Olam, including legendary cannabis scientist Raphael Mechoulam, have published a study which found cannabis to have properties which help alleviate some of the symptoms of ASD in children. The study, published in Scientific Reports, shows how cannabis offers a safe and effective option for patients, able to deduce symptoms such as seizures, ‘rage attacks’, restlessness, tics and depression in children. Researchers analysed the treatment programmes of 188 ASD patients, aged 18 or under, who were being treated with medical cannabis between 2015 to 2017. The majority of patients were treated with a cannabis oil containing 30% CBD and 1.5% THC. For children who reported high sensitivity to previously used medications, the treatment started with oil containing 1:20 15% CBD and 0.75% THC. Patients with severe sleep disturbances, or violent behaviour, an extra 3% THC was added following the initial treatment phase. Finding the optimal ratio of cannabinoids varies from patient to patient, something the researchers were careful to account for. Each patient’s dose was gradually increased, depending on the effect the cannabis was having on targeted symptoms. Parent’s determined their child’s individual treatment plan, accounting for the child’s tolerance to previous medication and cannabis. Autism is different for every child, with each needing a different ratio of cannabinoids for their specific ASD. Finding the optimal dose could take up to two months. The study found that the range of dosage between patients was wide. Some patients needed only one drop three times a day, while others needed up to 20 drops three times a day of the same product. Researchers contacted parents after one month for a follow-up on the progression of the treatments. 179 patients were assessed after six months, undergoing an additional assessment of the symptom intensity, side effects and quality of life. A further 93 (60.0%) responded to a questionnaire. This real, honest self-assessment by parents of children with ASD provides significant evidence that medical cannabis can help families of children with ASD. Nearly all of the participants reported an improvement in their quality of life. 28 patients (30.1%) reported a significant improvement, 50 (53.7%) a moderate improvement, 6 patients (6.4%) a slight improvement, with 8 (8.6%) reporting no change in their condition. Overall, good quality of life was reported by 31.3% of patients prior to treatment initiation while at 6 months, good quality of life was reported by 66.8%. The ability to dress and shower independently was significantly improved from 26.4% reported no difficulty in these activities prior to the treatment to 42.9% at six months. Good sleep and good concentration were reported by 3.3% and 0.0% (respectively) before the treatment and on 24.7% and 14.0% during an active treatment. Restlessness and rage attacks were improved in 72 patients (91.0%) and 66 (90.3%) respectively. The most common concomitant chronic medications on the intake were antipsychotics (56.9%), antiepileptics (26.0%), hypnotics and sedatives (14.9%) and antidepressants (10.6%). Over a third of patients were able to reduce their intake of other medications (23 patients, 34.3%), while 38 patent’s medication use remained the same (56.7%). Interestingly, six patients (8.9%) reported an increase in their drugs consumption. Clearly, medical cannabis has a great potential to be used in future treatments on ASD. With around 700,000 people on the autism spectrum in the UK, should the British medical profession be looking at the possibility of including ASD as a qualifying condition for legal access?